Kurdish activists in Scotland and their supporters gather in Glasgow on Saturday to celebrate the success of the Kurdish defence of Kobane where ISIS forces have been pushed out. The gathering in the UNISON offices in Glasgow brings together Kurds living in Scotland along with political and trade union activists supportive of the struggle against ISIS and the struggle for Kurdish rights. Thousands are expected to gather in London’s Trafalgar Square this Saturday following a global call for action by signed hundreds of internationally renowned academics, writers, lawyers politicians and activists. The final list of signatories is attached. Protecting the Kurdish people and preventing the forced displacement of our nation in our land can only be achieved through a mutual stance on this matter. THE KURDISH PEOPLE ARE FACING A MASSACRE IN KOBANE! SUPPORT THE KURDISH PEOPLE’S STRUGGLE FOR SELF-DEFENCE AND SELF-DETERMINATION IN ROJAVA! The UK government must recognise that the Kurdish forces on the ground, the YPG and YPJ, are the most effective fighting force against ISIS. The Kurdistan National Congress (KNK) has issued this appeal from the Joint Diplomatic Committee of Kurdistan Organisations, formed after a meeting on 17 August 2014 with representatives from all Kurdish parties and organisations which called for unified diplomatic action on the current crisis. 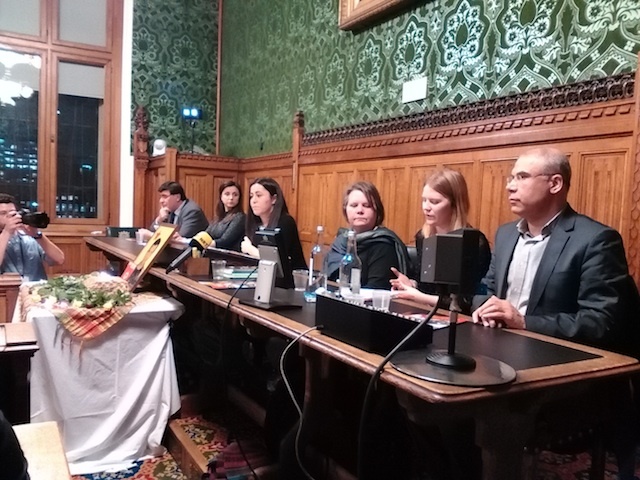 The appeal calls for humanitarian aid to be sent to Rojava as well as South Kurdistan, and for the international community to recognise the Sinjar crisis as genocide. Due to the brutal ISIS (Islamic State of Iraq and Levant) attacks on Kurdistan, the Foreign Relations Commission of the Kurdistan National Congress (KNK) sent an urgent request to the foreign offices of all the Kurdish Parties and organisations to organise joint lobbying and carry out diplomatic relations in unison. The meeting which took place on 17/08/2014 at the Kurdistan National Congress office in Brussels hosted the representatives from foreign offices of the Patriotic Union of Kurdistan (PUK), Koma Civaken Democratic – Europe (KCD), the Leftist Party of Kurdistan (Hizbi Shuhy Kurdistan), Kurdistan Islamic Union, Kurdistan Islamic Group, The Federation of Yezidi Kurds, The Union of Assyrians in Europe, Democratic Union Party (PYD), The Party of Free Life of Kurdistan, (PJAK), the representatives of the Democratic Nations Party in Europe (HDP) and the Kurdish Institute in Brussels. However, due to the short notice and emergencies a number of invited political parties could not attend the meeting, and a request was made to organise another meeting in the near future.